Is your bone supplement causing kidney stones? Between 1976 and 1994 there was a huge surge in the use of calcium supplements by women in the United States. This was primarily due to the thought that taking them would decrease the chance of bone loss. Many doctors and nutritionists pushed calcium supplements on their women patients. Some of them still do. But here's the thing. During that same time there was an equally huge 37% increase in the chance of a woman having a calcium kidney stone. Are the two statistics related? A recent article published in the American Journal of Clinical Nutrition says yes there is. But the reason is probably not what you think it is. Calcium is a major cause of kidney stones. In fact, 85% of all kidney stones are made of calcium. So it makes sense that taking too much calcium would increase the chance of a kidney stone. But the studies on this have been conflicting. Some studies say they do. And other studies show no difference in the chance of getting a calcium kidney stone between women who take a 1,000 mg calcium supplement and those who take none. So what accounts for the inconsistency? It might be IH. IH stands for idiopathic hypercalcuria. Idiopathic hypercalcuria is the condition in which certain people have an excessive amount of calcium in their urine for no obvious reason. About 5-7% of adults have IH. IH tends to run in families, so it is probably genetic. IH is the single most common cause of calcium kidney stones. But even so, 90% of those people with IH never get a kidney stone. Why is that? Apparently for them the amount of calcium that they have in their diets is not quite enough to cause a stone. But what if a woman with IH takes a calcium supplement? That might put her over the top and would increase the risk. According to the author of the article, "IH patients are more sensitive to forming stones because relatively small increases in urine calcium increase calcium oxalate supersaturation." That means that for this group even only a very small amount of calcium supplement, 100 mg per day, is enough to cause a kidney stone. That completely explains those studies that show that women taking very large doses of calcium have no more risk than those taking very small 1-200 mg doses. After all, if you are going to get a kidney stone from only 100 mg of calcium per day, then taking more is not going to increase your risk any more than it already is. The idea that IH is what is behind kidney stones also explains another very surprising finding. That finding is that most women who take larger amounts of calcium supplements actually have a lower risk for kidney stones. How can that happen? It's simple. Most kidney stones occur when calcium precipitates out with oxalate in the urine. You'll find oxalate in virtually all vegetables. When you eat foods with oxalate, your body absorbs it and ends up in your urine. If you already have a lot of calcium in your urine, it will bind with the oxalate and form a kidney stone. So the more oxalate you absorb from your diet, the greater your chance of getting a kidney stone. But when you take a calcium supplement with your meal, it will combine with oxalate in your food and guess what. When the two combine, your body can't absorb the oxalate. That means that there is less oxalate in the urine and a decreased chance of getting a calcium oxalate stone. So the reason that so many studies that have looked at calcium supplements and calcium kidney stones disagree is because unless someone has IH, they don't have an increased risk. And since only 5-7% of women have IH, they will be lost in the statistics. It just points out how easily statistical studies can be misleading. Even though the majority of women might actually have a lower risk of kidney stones when they take calcium supplements, those with IH are at a high risk. So here's the point. If for some reason your doctor wants you to increase your intake of calcium, make sure you increase your intake with food, not supplements. This is the recommendation of the author of the study. Foods highest in calcium are dairy products, dark green leafy vegetables, soy, almonds, and fish. If you decide to do it with a calcium supplement, remember that there is a 5-7% chance that it will give you kidney stones. So before you go there, ask for a 24-hour urine measurement of calcium. If it's normal, then the supplement probably won't cause kidney stones. But if not, it's more likely to cause a stone. Even though the calcium supplement won't cause a kidney stone if your urine calcium level is normal, rethink taking the supplement. For over 20 years I have been warning my patients about the dangers of taking calcium supplements. 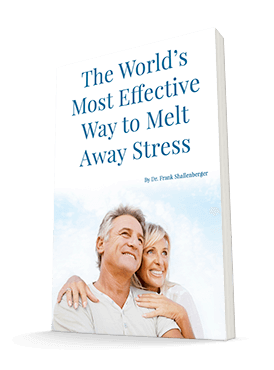 For one thing, the reason almost everybody takes them is to strengthen their bones. But the Women's Health Initiative is the biggest study on calcium intake and bone strength ever conducted. 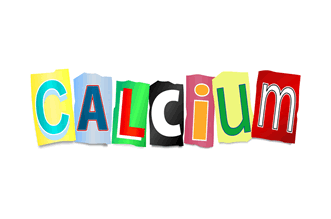 And it clearly showed that taking calcium supplements does not strengthen bones or even improve bone density tests. Instead the calcium goes other places like the arteries and joints causing heart disease and arthritis. And in those people who have IH, it can also cause calcium kidney stones. So rather than take more calcium, I prefer a bone supplement like Ultimate Bone Support. It doesn't contain calcium. Favus MJ. The risk of kidney stone formation: the form of calcium matters. Am J Clin Nutr. 2011 Jul;94(1):5-6.